While the majority of marketers today understand the importance of content marketing, many still struggle with execution. Creating content that engages your customers at the right time with the right information is a challenge. Video is proven to be one of the most effective modes of content communication at all stages of the customer journey: awareness, engagement, conversion, retention and advocacy. Brands are doing amazing things with video as part of their content marketing strategy. Yet some brands are falling victim to a number of common mistakes that are impacting their success. As the marketing landscape changes, marketers need to change the way they interact with their customers. 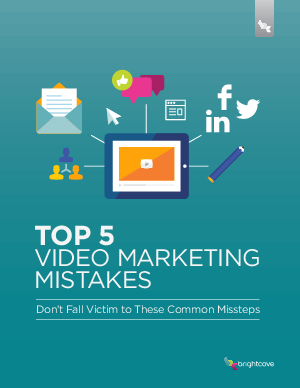 In order to help you avoid common pitfalls, we present the Top 5 Video Marketing Mistakes of 2015.